Looking for an automobile insurance quote? Immediately following an accident, make sure that no one is injured, either a passenger in your car, in other vehicles, and don’t forget about pedestrian or others who may have been nearby. Move to a place of safety, away from traffic. 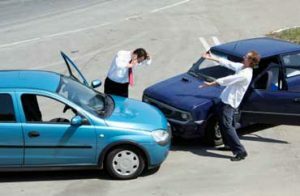 Do not admit fault, no matter the accident circumstances, and do not discuss the accident with anyone other than your insurance company and the police. If there are not police on the scene, call them to file a report, even if the accident takes place in a parking lot or seems minor. Get instructions from the police on how to obtain a copy of the accident report. Contact your insurance company as soon as possible with the information above. If you need any help or guidance, please contact us. For more information about Personal Automobile Insurance, call or contact Consolidated today.